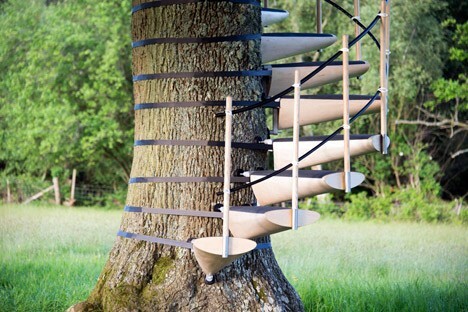 Providing an elegant, robust, accessible and tree-friendly alternative to ladders or branches for climbing trunks, this spiral step solution lets you scale trees without harming them. 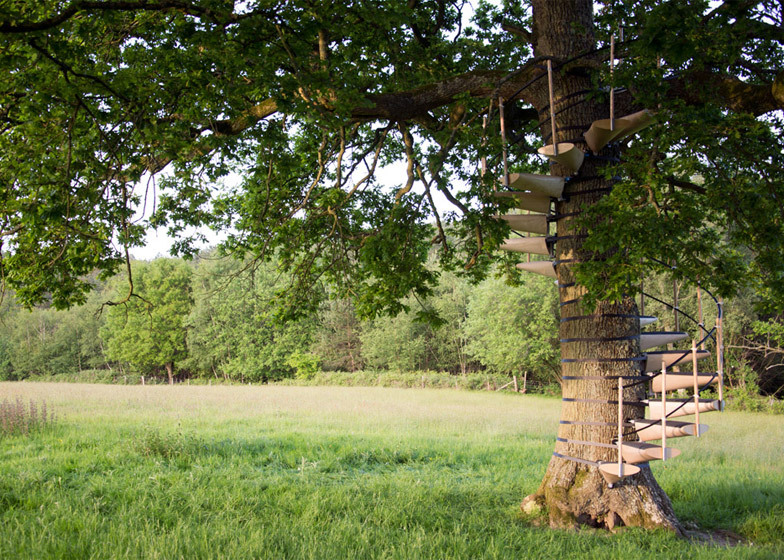 Developed by Thor ter Kulve and Robert McIntyre, the CanopyStair uses lightweight birch plywood, adjustable ratchet straps for leveling on uneven trunks and neoprene padding for soft contact points with the tree itself. 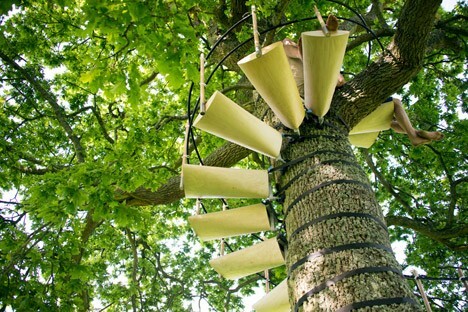 As the creators of this system point out, tree canopies are some of the least-explored places on Earth, in some ways as mysterious as the deep oceans or outer space. The design was inspired in part by a stay off the coast of Portugal in a place with high walls blocking views. 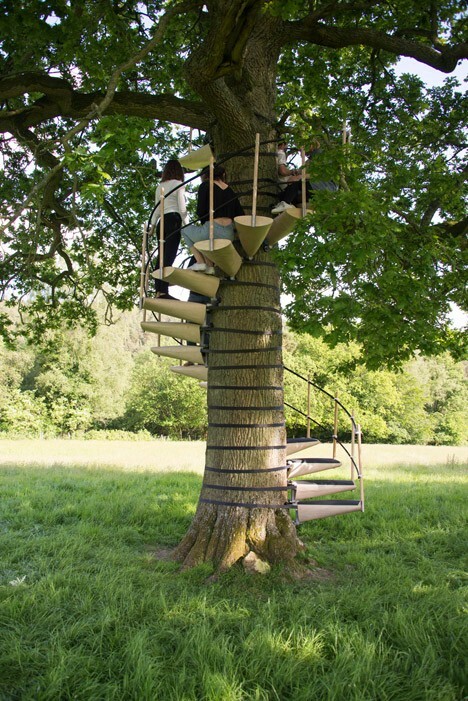 The designers found themselves turned into tree climbers in an effort to get a better look at the surrounding vista, then trying to figure out a way to take that approach to the next level, so to speak. 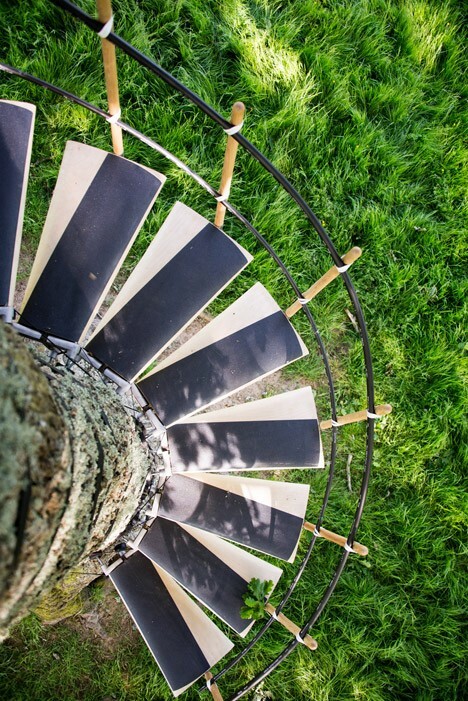 A curved top tread, wooden poles and plastic guidelines all help make the experience smooth and straightforward, letting those who may not normally be able to scale trees still climb them. 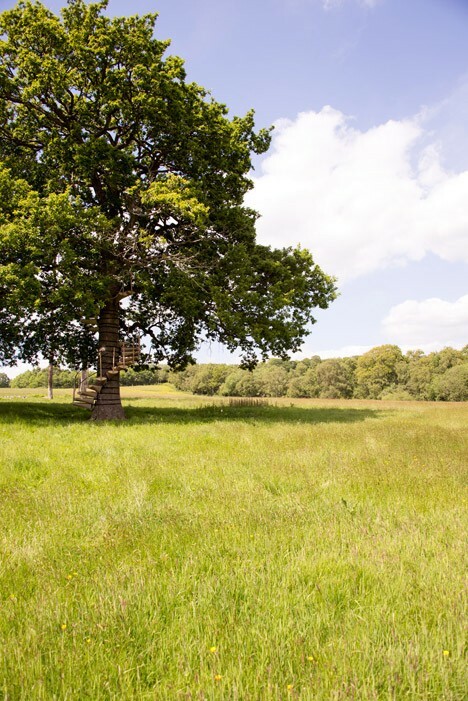 The team also consulted arboriculturalists to make sure their approach would not damage or harm the trees being employed. The system takes a few hours to set up and as little as 30 minutes to deconstruct.